Memories from Players & Coaches - Huddle Up, Hutch! 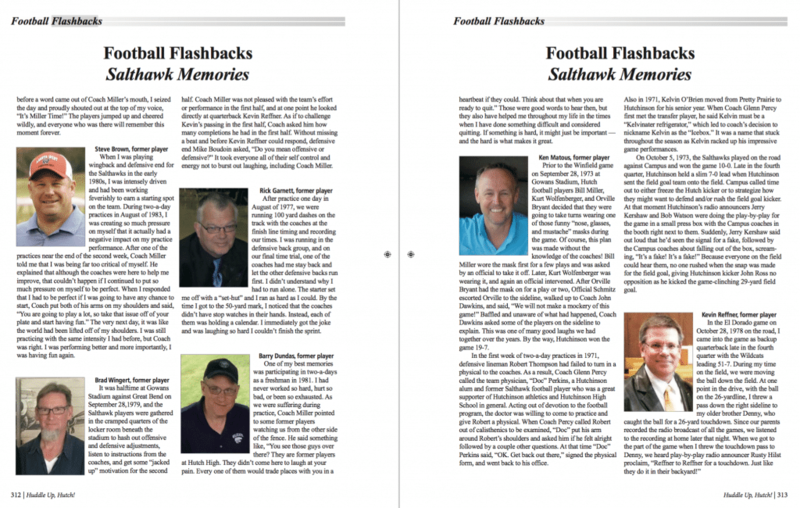 When I solicited memories from Facebook friends, many former players and coaches responded with stories from their years as Hutch High Salthawks. Here is an example of two facing pages from Huddle Up, Hutch.